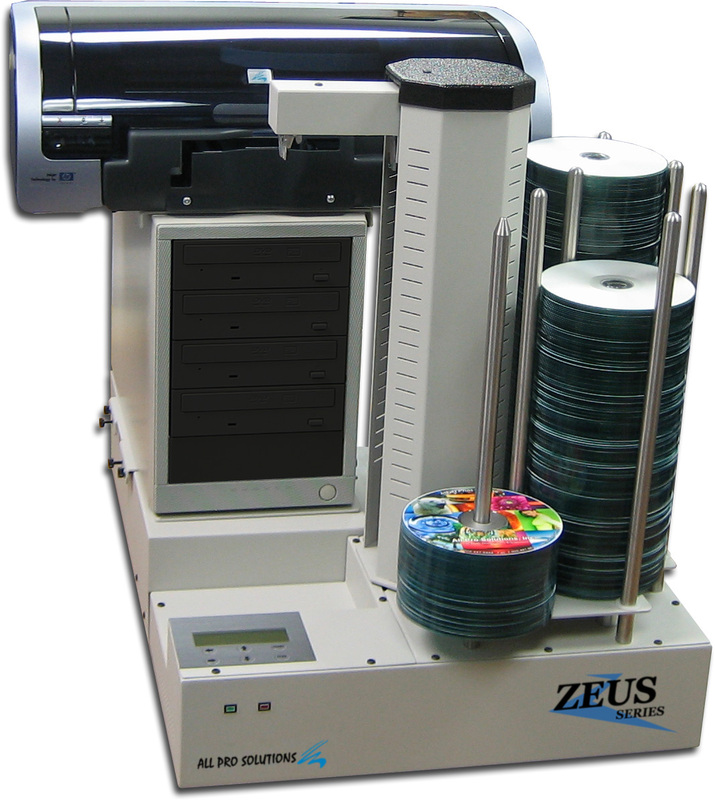 The systems within the Zeus series are fully automated self-contained CD/DVD publishers with a built-in PC similar to the Olympus series but not quite as advanced. 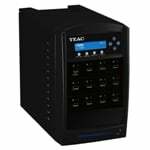 The systems are asynchronous and can be configured with 2-8 drives with up to 900-disc capacity and with inkjet or thermal disc printers. Simply add a monitor, keyboard and mouse and you have a complete publishing or duplication system at your fingertips. The Zeus Publisher combines the robust and powerful core engine of newly integrated Publisher NG with up-to-date Windows clients. Server components control the connected CD/DVD production systems. An intuitive graphical user interface of the client application makes media copies, creation of CD/DVD data media, Audio CDs, Video CD/DVD and print jobs a straightforward process. Additionally, the status of media production and devices can be monitored network-wide. The networking aspect allows for connectivity into any local or remote network, be it a small office network, or a large corporate environment. Each employee with access to the Zeus CD DVD Disc publisher will be able to submit their job to the queue at anytime, no matter the number of copies, and their jobs will be produced in the order submitted. Full asynchronous production - A job contains 1 unique data master for duplication and 1 unique label file for printing. Because of its modular architecture Zeus Publisher with will adapt to your requirements and fit well into an existing networked environment. The software consists of the server component, which controls the actual recording process as well as a set of applications for the definition of the disc contents. The Publisher NG server controls the hardware and administers the job list. Each job represents one production series and contains important information like number of copies, label print file and additional parameters. The job attributes and the job list can also be modified by network clients under control of the integrated user management. A job is easily created and hundreds of copies produced by just dragging & dropping the Disc Image to the job list. The user interface provides all important hardware and job status information even over the network and internet.